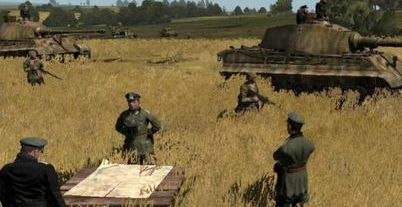 Panzer leader Series has 13 total missions, the series focus is on historical accuracy protrayed in the mission with tanks. The Phoenix Rising Campaign has 12 total Coop missions with the 12th mission being a CTF bonus mission. The Campaign's is a Combined Arms between tanks and infantry, to seize control land, and position. The Tank Clashes East of Warsaw were a series of engagements between the Soviet’s Second Tank Army and the German Army’s Thirty Ninth Panzer Corps that occurred as part of the Lublin-Brest Offensive from 29 July to 4 August 1944. The clashes took place east of Warsaw in the areas of Radzymin, Wolomin, Okuniew, and Praga. It was largest that ever took place in Poland and rivaled in size many that took place on in Russian on the Eastern Front.